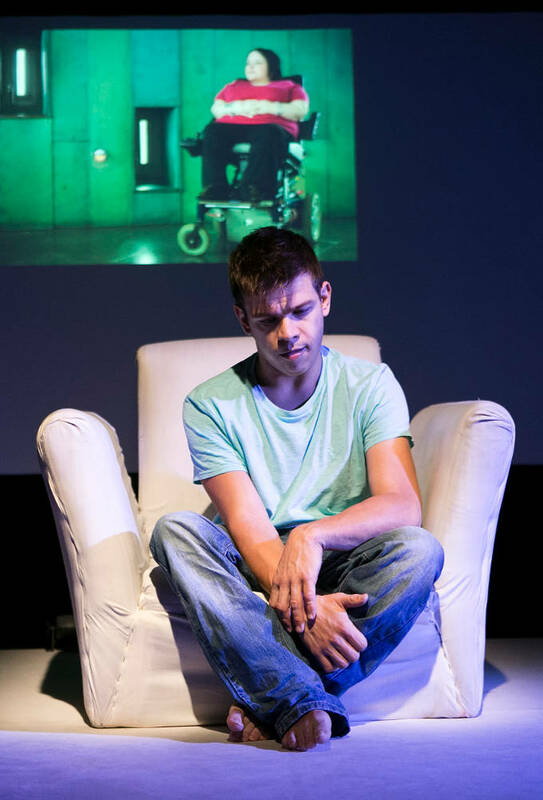 If These Spasms Could Speak is an outstanding solo performance based on a collection of funny, sad, touching and surprising stories about disabled people and their bodies. Created and performed by Robert Softley, it exposes a truth behind bodies that differ from the norm. His own narrative – told with wry humour, charm and sincerity – is woven through with video interviews and monologue in an engaging and highly charismatic way. It is both a challenge to society’s perceptions and desire for classifications, and a celebration of being alive. A sell-out hit at festivals and events across the UK, If These Spasms Could Speak is a tender and uplifting theatre experience. Presented by Dublin Theatre Festival. 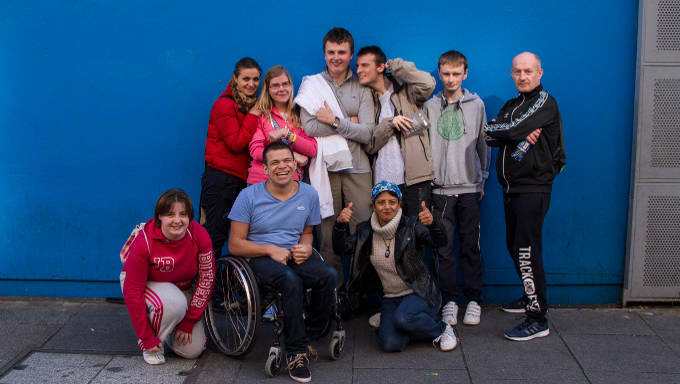 Supported by Arts & Disability Ireland and The British Council. Robert Softley performing in If These Spasms Could Speak at Dublin Theatre Festival 2013. This performance was audio described, captioned and Irish Sign Language (ISL) interpreted.